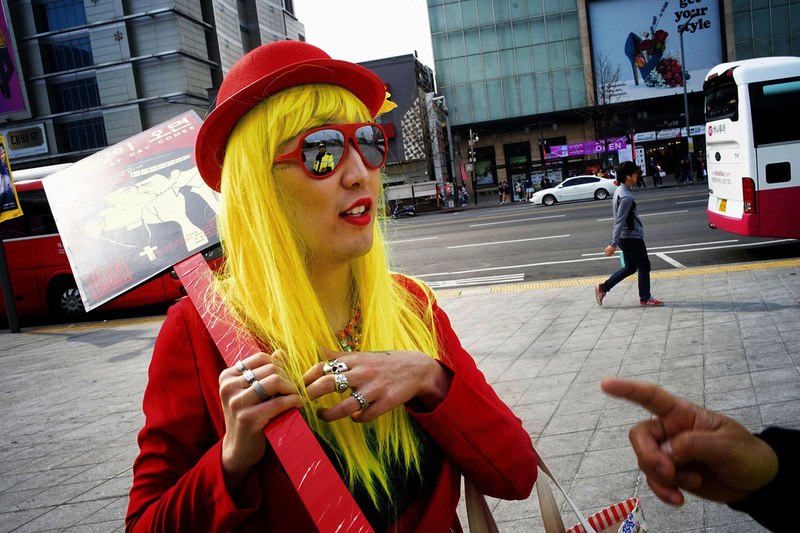 Between March 29 and April 4, 2016, activist and artist Heezy Yang transformed into his alter ego, the drag queen Hurricane Kimchi and embarked on a performance art tour in Seoul to raise awareness for LGBT rights. I reached out to the artist and received permission to photograph while the tour was in progress. 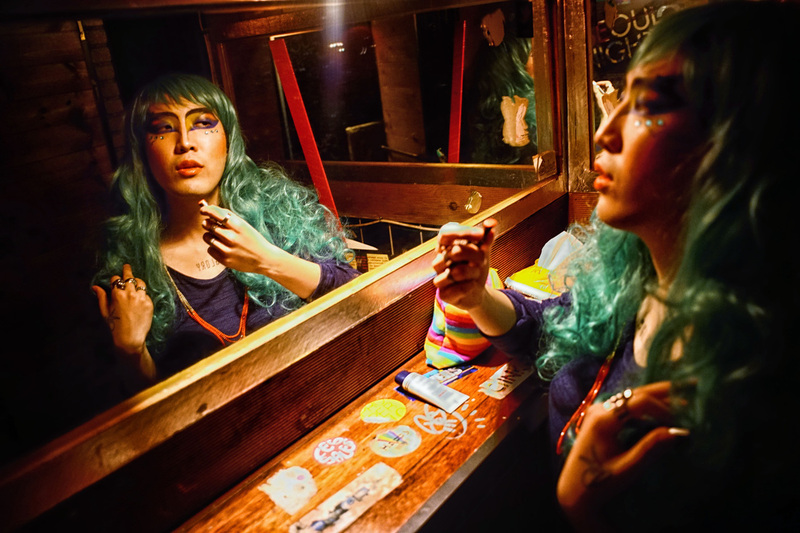 These are the days and nights of a hurricane: Portraits from a drag queen’s Seoul. 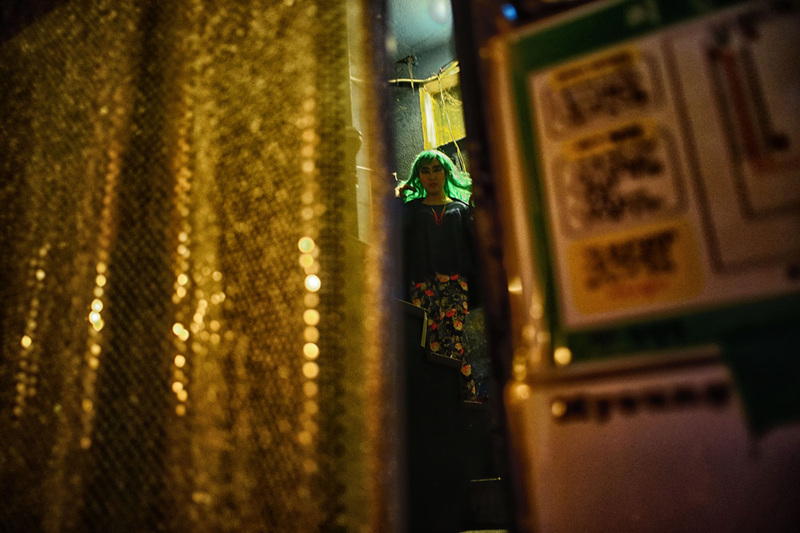 Wig adjustments behind the curtain at club DGBD in Hongdae. Police confrontation in the streets of Dongdaemun. 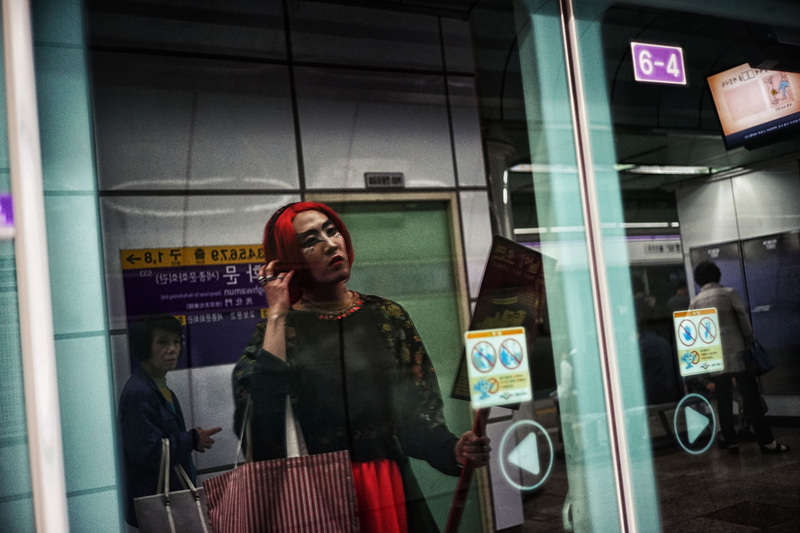 Waiting for the metro in Gwanghwamun. Final touches before a performance. In a taxi heading to Gyeongbokgung Palace, to which access was denied and photography prohibited. Hurricane Kimchi inside the entrance of Dongdaemun Design Plaza. 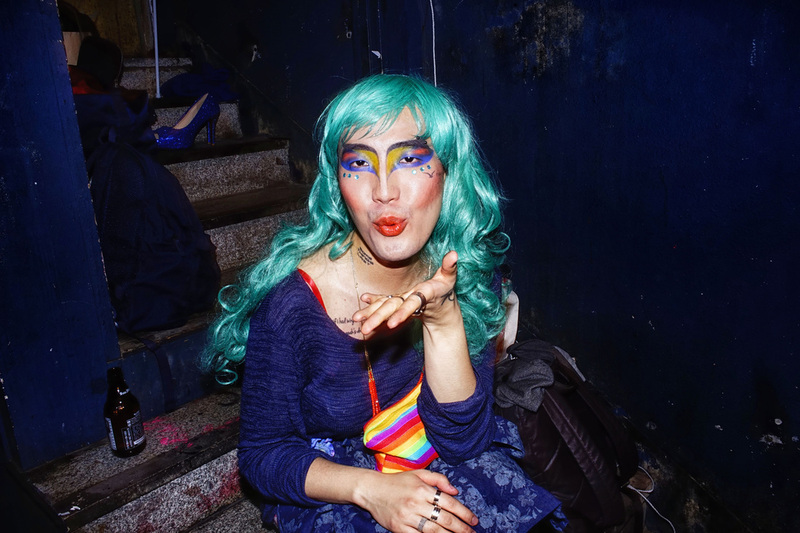 Blowing a kiss to the camera.